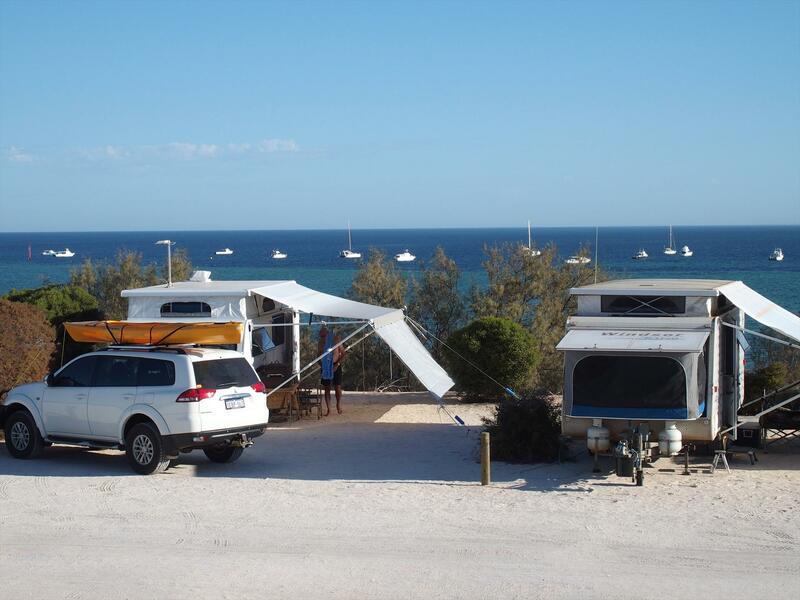 The most Westerly Caravan Park in Australia! A relaxed atmosphere where you can mingle with nature. With its wonderful location, Denham Seaside Caravan Park is the perfect base for you to explore this extraordinary World Heritage Area. Gateway to breathtaking scenery, spectacular wild flowers and the famous Monkey Mia dolphins and Francois Peron National Park. Denham Seaside Caravan Park is proud it welcome pets onsite with the exception of the chalets. 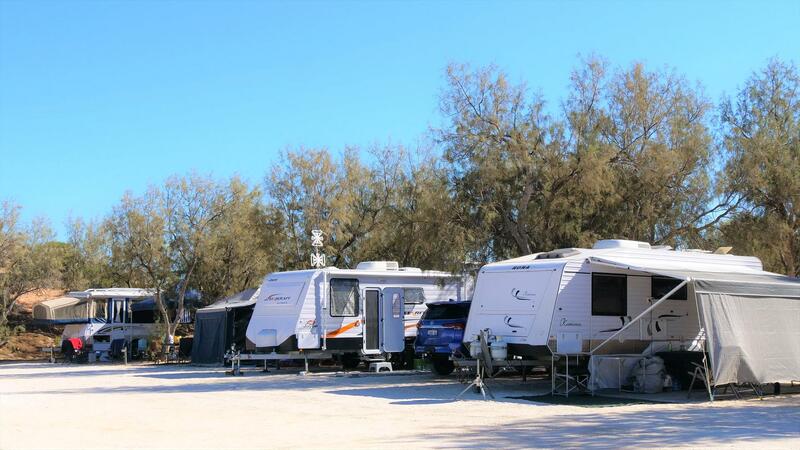 Let us offer you Denham’s only beachfront caravan park, situated on the ocean’ edge among large shady trees. 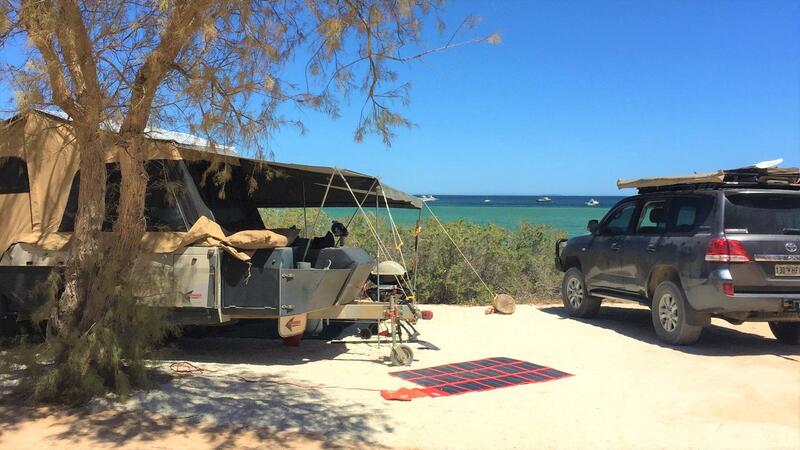 There is easy access to the safe waters of Shark Bay for your family’s pleasure. 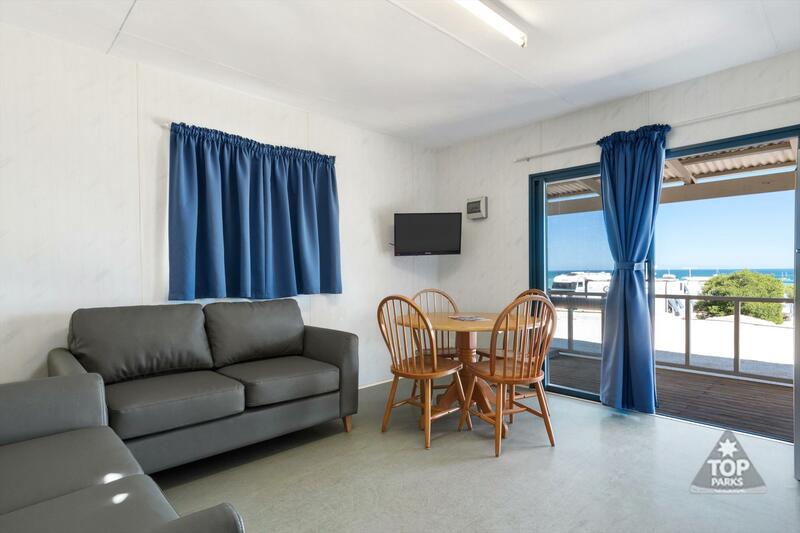 We cater for caravaners, campers on powered, unpowered or ensuite sites with three ablution blocks, two camp kitchen, barbecue areas and those looking for chalet accommodation. One Bedroom fully self contained Chalet with ensuite. Linen included. 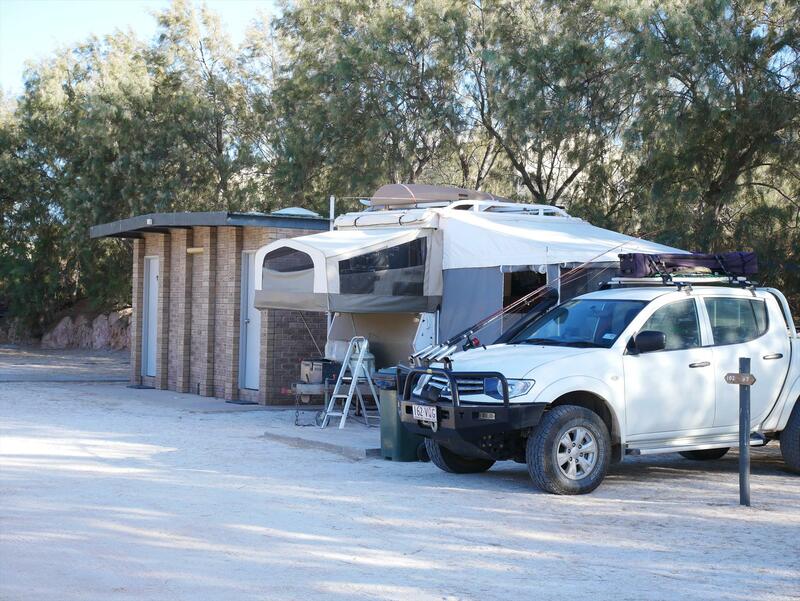 Kitchen with full size fridge/freezer, MWO, Gas Hot plate,TV and verandah. This Chalet has a queen bed in the living area and a set of bunks with a trundle bed located in the bedroom. 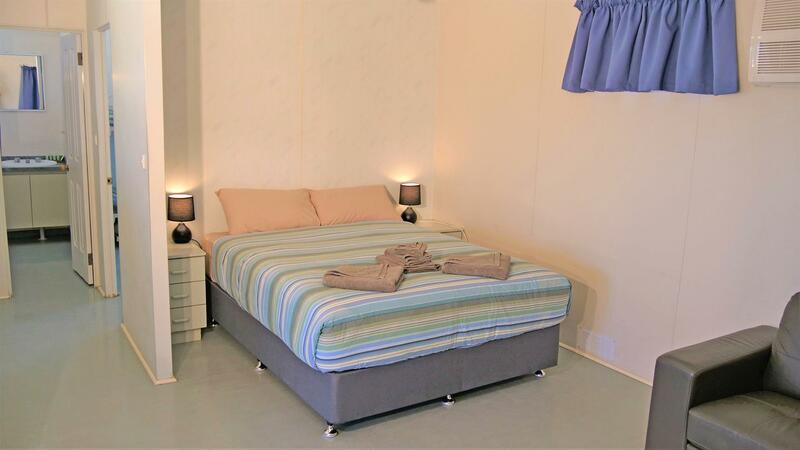 Powered Site with your own personal bathroom including shower & toilet. XLarge sites suitable for a 5th wheeler or bus. Site includes with power and water. Cancellation Policy: 28 days or more to arrival date full refund less $30 cancellation fee 7 – 28 days prior to arrival date full refund less 1 nights tariff 7 days or less to arrival 50% of full tariff refund (minimum charge 1 nights tariff for 1 night bookings) Check-in Times: From 12:00am for sites on day of arrival From 2:00pm for accommodation and ensuite sites As per Shark Bay World Heritage Discovery & Visitor Centre policy.